Atheism is the rejection of belief in the existence of gods as atheists seek empirical evidence to support whatever they believe in and religion has none. For some unexplainable reason, atheism has been bad-mouthed and maligned for centuries to appear as though it is something dark or evil. But, since the population of non-believers, freethinkers and atheists has started to increase rapidly over the last few years, this image is beginning to change as well. 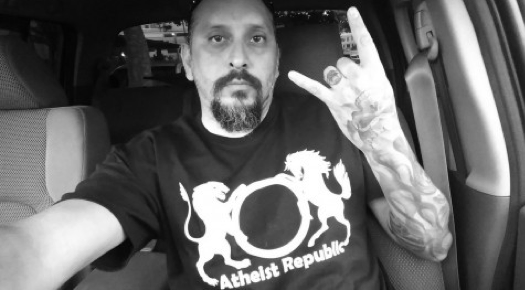 In an attempt to explain to the world what atheism really is, Atheist Republic has introduced a wide collection of bumper stickers that carry different symbols related to atheism. You can pick a bumper sticker of your choice, stick it to the deck of your vehicle and influence hundreds of people as you drive past them every day! This way, not only will more people learn about atheism but we will also succeed as a community in omitting all misconceptions that exist about our faith, or the lack of it. Bumper stickers are a great way to jazz up your vehicle and express yourself at the same time. Our bumper stickers are all the more attractive because they not only carry symbols but witty puns and inspirational quotes as well. Some people may think you are being too radical with an atheist bumper sticker stuck to the back of your vehicle but this gesture goes on to show that you are not ashamed about your way of life and you are proud to be an atheist! Chances are that you will make a lot of heads turn – some will do so out of respect and some out of utter disbelief. But, take any opportunity you get to explain the subject to those who do not know much about atheism so they can learn more and together we can do away with all the myths that non-believers have to put up with otherwise! Atheist Republic brings to you a variety of bumper stickers to suit your taste. You can customize your designs with colours and fonts of your choice. On the other hand, if you have interesting designs, you can also share them with us so we can make them available to the atheist community across the world.